Some adults are under the assumption that just about everything that teens do online is either hurtful to themselves or others or a complete waste of time. To be fair, there’s no shortage of daily headlines that seem to point to the conclusion that many teens are using technology irresponsibly. But the reality is that those stories represent a small part of what most teens are doing in cyberspace. For example, very few young people are trolling chat rooms looking to meet new friends. Most teens use computers, and more often mobile phones, to interact with others whom they know in real life. Sometimes they are communicating with friends of friends or “strangers” while playing online games, but generally they are connected to those they know. According to recent data released by the Pew Internet & American Life project, 60 percent of teen Facebookers have their profiles restricted to friends only and nearly three-quarters have deleted people from their friends list. So in short, most teens are using social media conscientiously. Moreover, many teens are using technology for educational purposes. In every survey of students that we have done over the last decade, “using the Internet for schoolwork” has always been among the top five weekly activities reported—ahead of Facebook, online games, and YouTube. In our most recent survey of about 1,500 randomly selected middle and high school students in one large district, almost 94 percent of respondents said that they used the Internet for schoolwork at least every week (by comparison, about 19 percent said they used Twitter as often). We regularly hear stories of students using Skype or FaceTime to collaborate in real time with classmates, and the World Wide Web allows curious learners to dig even deeper into a topic. We also know from our work that the vast majority of teens are not behaving recklessly, carelessly, or maliciously. 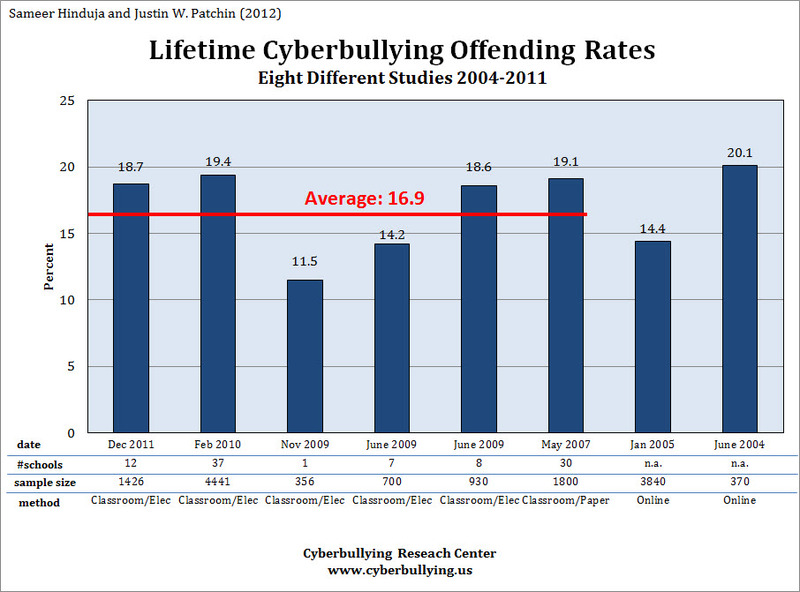 On average, about 17 percent of the thousands of students we have surveyed over the last five years have admitted to us that they have cyberbullied others at some point in their lifetime (less than 10 percent say they did it in the previous 30 days). So this means that between 80 and 90 percent of teens are not cyberbullying others! These data belie the conventional wisdom held by many (adults and teens alike) that a significant majority of teens are using technology to torment. In short, it is clear that the vast majority of teens are using technology safely, responsibly, and appropriately. And it is also likely that many more are proactively using it to spread positive messages rather than negative ones. Our mandate as caring adults is to encourage the teens in our lives to choose positivity over negativity and to acknowledge the efforts of those who do the right thing, instead of drawing unnecessary attention toward those who do not. Do you have any stories of teens using technology in positive ways? Please share them in the comments. This entry was posted in Bullying Prevention & Conflict Resolution and tagged bully free, bullying, bullying in schools, bullying prevention, cyberbullying, Free Spirit author, Internet safety, nice it forward, online bullying, stop bullying, teens. Bookmark the permalink. Thank you so much for writing this. I’m always amazed at the many wonderful things that students can do on the internet and with their digital age. Every time an adult is on their horrid ageism rant about this generation, I always ask them to search “kids doing amazing things” or “students changing the world” and they will find students ages 8+ using the digital age and socila media for not only hanging out with their friends, but also making the world a better place. This article inspired me to write one as well….please go check it out at http://motivatingforpositivechange.wordpress.com.